Our team has over 11+ years of event experience and are passionately committed to providing the most memorable wedding for you and your guests. Lauren and Shawn Sparks founded Sandlewood Manor in 2016 with a shared vision for a ministry based wedding venue. Shawn and Lauren’s individual success in marketing and business management makes them a powerful team. 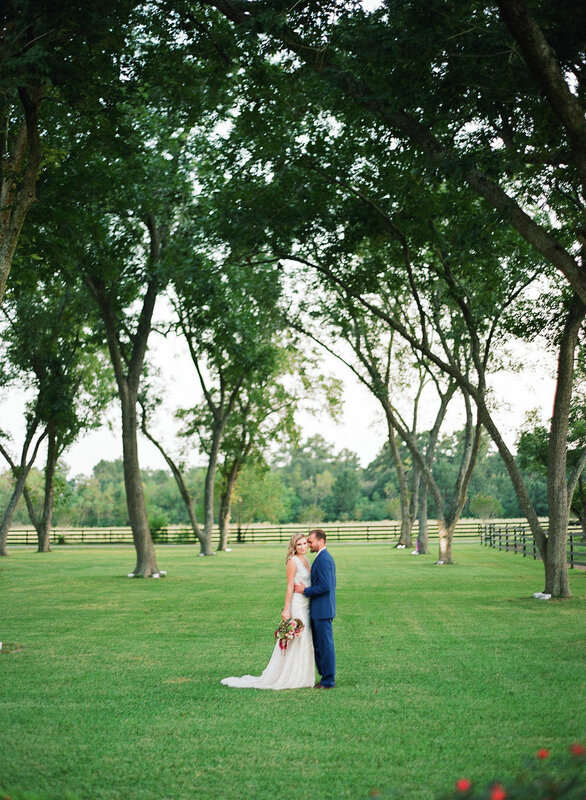 Their hardworking personalities, strong passion for marriage, and a desire to help others have merged to create one of Houston’s premier wedding venues. Kerri Childress graduated from Texas Lutheran University with a Bachelor of Science degree in Psychology in hopes of one day getting her PhD in Marriage and Family Therapy. After college, Kerri worked as an Advanced Clinical Counselor for a residential treatment center for several years before deciding to change her career path and pursue a more creative outlet through the wedding and event industry. Kerri interned with two different well-known wedding planning firms in Austin TX, and eventually began to take on her own clients through her own Event Planning business. She continued to advance her planning and coordination skills by working in corporate meeting and conference planning, as well as marketing and business development roles for several federal government and military contracting companies. Kerri relocated to Houston, her home town, in 2013 and was soon after presented with the opportunity to work with the owner of a historical fire station to convert the building into a wedding and event venue and, together, they co-founded “Station 3”. As the Venue Director and Operations Manager, Kerri hosted and coordinated hundreds of private events and weddings, earning the venue multiple awards and much recognition. 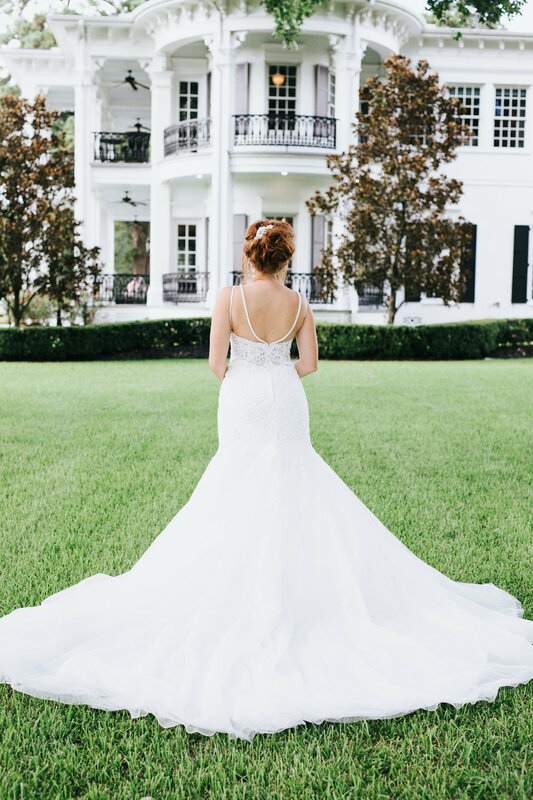 Kerri is excited to join the team at Sandlewood Manor and to contribute her many years of experience in the wedding and event industry to make Sandlewood Manor the premier wedding destination. "pioneer of the wedding dance trend." Check out Leah's own wedding dance (which she choreographed) that has touched nearly 4 million viewers from around the globe. Tina Kennedy earned her BS in Health Science at L.S.U. and her certification in Nutritional Counseling (CNC) through The Trinity School of Natural Health. She is also certified as a First Line Therapist in Lifestyle Medicine through Metagenics. Tina is passionate about helping others to make choices that will enhance health and help prevent disease. As a nutritionist and holistic health educator, she uses diet and lifestyle therapies to support the body's natural miraculous ability to restore and heal itself when given the proper environment. Recognizing that every person's body is different, Tine enjoys meeting with clients one on one to create personalized diet and lifestyle programs suited to individual needs. Tina has many years of experience working specifically in high risk obesity and metabolic disease and is confident in her ability to assist others to succeed in reaching their weight management and fitness goals. Executive Chefs, Meredith Spychaj and Laura Picard, are renowned for their culinary skills and exceptionally high standards. They have been serving the Houston area for over 10 years. From the Conroe and Spring/Woodlands areas to the Tomball/Magnolia area, Katy, and surrounding Houston areas, Chefs Meredith and Laura have catered hundreds of weddings and special events. Additionally, they are the the preferred caterers to the Houston Livestock Show and Rodeo Wine Committee. As participants in the HLSR Round Up and Best Bites Competition, they are part of a select group of approximately one hundred of the areas top restaurants and culinary institutions to be featured and hold the award for 2016 Reserve Champion. Other corporate and executive clients have included the Woodlands Pavilion, CB&I, Transwestern, Willowbrook Methodist Hospital, North American Title, Fresenius Kidney Care, Woodhouse Day Spa, California Closets, Pipeline Machinery, Moore Supply Kitchen and Bath, Avanti Senior Living, Tenet Health, Devasco International Inc., as well as John Wesley United Methodist Church, Salem Lutheran Church, Faith Bridge, and Woodsedge Community Church. Prior to accepting the Executive Chef position with Sandlewood Manor, Chefs Meredith and Laura founded Junior Chef Academy, a culinary school where they developed and instructed classes in basic and advanced cooking skills. Additionally, they have owned and managed their own commercial kitchen in Spring, Texas. We are thrilled to have the culinary expertise of Chefs Meredith and Laura at Sandlewood Manor and are sure you will be delighted with the exquisite dishes they will create for your special event.